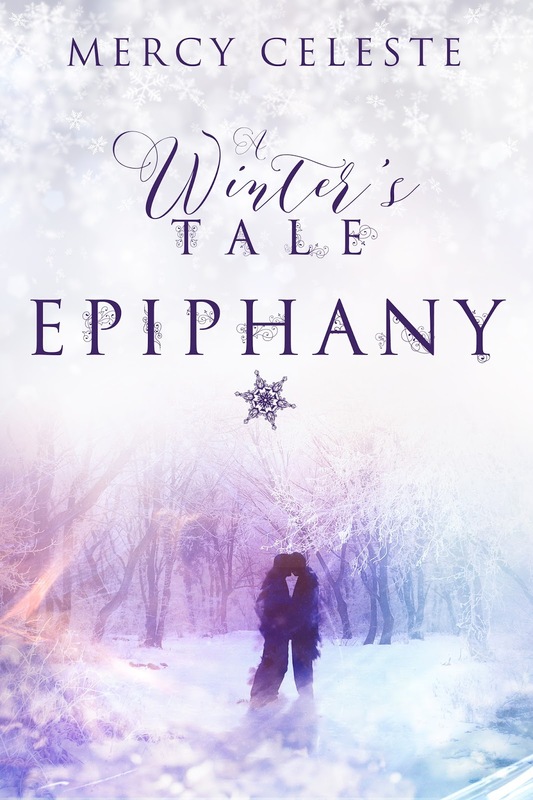 ‘Epiphany: A Winter’s Tale’ by Mercy Celeste. Published by MJC Press January 29, 2019, 414 pages. For nearly a century, Courtland Manor was left to ruin. After several years of renovation, the house is set to reopen as a museum. And Doctor Austin Baylor has been hired as head curator. Alone in the house for months, he’s thrown himself into his dream job. As the grand opening of the museum nears and winter approaches his peaceful, idyllic life begins to… well, weird stuff starts happening. He meets a guy that could be ‘the one’. Nothing weird about that. His best friend moves to town to open a franchise of his family’s Irish Pub right across the street from the Manor. Still awesome. Interns from the university come to help him in the final weeks before the grand opening. Some drama, but still fine. And then, on Christmas Eve, Austin is almost hit by a car right outside the manor. And nothing is the same again. The idyllic Manor house hides secrets that even the owners aren’t aware of. And as Austin and his crew delve deeper into those secrets the less hospitable the house becomes. If Austin and his crew make it through the to the grand opening with their sanity, or their lives, intact… it might just be a miracle. Please note: If you are easily triggered. You will be triggered. If you are easily offended. You will be offended. If you don’t like my writing, you will not like this book. If you don’t like long books, you will not like this book. If you have problems with missing commas, you will pull your hair out. If you resemble all of the above… you were warned. I grew up in Northwest Florida, right at the juncture where Florida meets Alabama and Georgia. Serious middle of nowhere, small town, rural Florida. We didn’t have many palm trees and the white sand beaches were more than an hour’s drive to the south. What we did have were big spreading live oaks, covered in Spanish Moss, peanut and corn fields, and cows. Lots of cows. More cows than people. Some of those ghosts were the product of too much Shine and the gray lacy moss swaying in the summer breeze, I’m sure. There were two major ghost stories connected to our area. The Bellamy Bridge Bride and the ghosts of The Russ House. The Bride story was a full on romantic Southern Gothic tragedy. In the late 1800’s a young woman from a rich family married another wealthy son of the area. It was cold that day. And to warm herself, she stood too close to the fireplace and her voluminous skirts caught fire. Instead of stopping, dropping, and rolling, she ran toward the Chipola river. Her skirts blazing around her. And she died in the arms of her new husband never having reached the river. Her ghost is said to appear at the site of the old Bellamy Bridge every full moon. For decades it was the place all the teens would party just to see the ghost until the family closed off access to the land. You can only get there by river now. Is it true? Well, the story is mostly true. As legends are apt to do, it did lose some truth over the decades. But it’s basically true. Is there a ghost? I’ve never been there. I don’t know. I don’t hike and I don’t canoe. But one thing is for damn sure, it’s a fascinating story. One that haunted (pun intended) my dark little twisted romantic heart growing up. And still does. And then there was The Russ House. The Russ House was different. It didn’t have a great little romantic story with a tragic ending that resulted in the full moon re-enactment of the burning bride. But what it did have was a highly visual place in my life. Driving into Marianna, from my hometown on highway 90, you go around a curve and there it is, on a hill, right behind a gas station, overlooking that gas station, and all of the businesses that had sprung up around it over the past century. Long before highway 90 existed, or the Walmart that was built right behind the house, or that ugly gas station, The Russ House stood sentinel over everything around it. Palm trees and cupolas and everything that made the place grand… but the paint had long ago peeled away in the hot Florida sun and humidity. It was gorgeous. That ugly, neglected, ruin of a house. With the ghost that supposedly watched everyone driving past his house from the cupola. The cupola with no floor. The little patch of acreage it sat upon hardly big enough to hold it. When I was a child, I imaged someone watching me from the windows in that cupola as we drove past to go to Piggly Wiggly. And then someone covered the windows in the cupola with tin panels. But the feeling never went away. It was just a deteriorating house, stripped to the bare wood. Screens on the porches ripped and hanging. Windows covered. The palm trees, hanging wisteria, and Camellia shrubs all that were left from a world that ceased to exist long before I was born. There were never any romantic tales of the ghosts in the Russ House. Just the fact that it was haunted was all I’d ever heard about the place. Didn’t matter. The place fascinated the hell out of me. The gas station in front of the house finally went to ruin sometime in the last twenty years or so. The Walmart behind the house closed and moved to a bigger location beside I-10. The shopping center the Walmart was in became run down. And the City bought the house from what was left of the family. They removed the old gas station and renovated the house and the land that still touched the property the house occupied. They painted it a bright shiny white and opened the cupola again. And turned it into the city’s visitor center… in short… they ruined it. They destroyed everything about the house that, to me, made it interesting, by slapping all that gaudy white paint on it. Every time I return home, I mourned the loss of that grand, old, rotting, haunted house. I cut my teeth on southern ghost stories. Had some ghost stories of my own to tell. Real ones. About the three ghosts that haunted the house I grew up in. About being dragged along on trips to the ‘family’ cemeteries. And sitting on the tomb of some forgotten uncle. Of the entire family, the two big head stones and the seven little headstones, that was wiped out in one epidemic. And now there are no names left on those headstones and no one to remember who those long-forgotten relatives were. To sitting in the front yard of my Great-Grandparent’s house, three times, to bury my Irish speaking great-grandfather when I was three and didn’t know what death was. To my mother two years ago. When it was just me and one of her brothers there to put her in the ground behind her grandmother, the only person to ever show her kindness. From the romantic, gothic, southern ghost story to keep me awake at night… to the ghosts that would become the demons that came from the mental illness that destroyed my family. That is what inspired Epiphany. The true story of the ghost of the man who committed suicide in the Russ House in 1930 after the market crashed, leaving his wife and children alone to deal with the loss of their wealth. And the ghosts of the children who haunt that house that no one can explain. The town that encroached on that house, only to fall to ruin around it. And the angel statues guarding one of those family cemeteries, the one with his face broken so that the eyes are missing… that’s what inspired Epiphany. The rest is legend. No persons, living or dead, are depicted in my book. The story is completely from my own imagination. 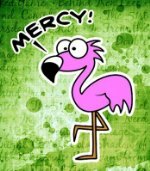 Mercy Celeste is the pen name and superhero persona of mild-mannered MJ Colbert….which is bull, I’m not mild mannered. I was, in fact, raised in a barn–or several. We even had grain silos. My motto growing up, anything a boy can do, I’m right behind him doing it just as well or better. I’ve broken too many bones to begin to count. Scraped, skinned or scarred pretty much everything that can be scraped, skinned or scarred. How I’m still walking and talking is a miracle. So about the writing, well, I don’t really consider myself to be a writer. I’m a storyteller, and when I have a story to tell, it won’t rest until it’s twisted me up and purged itself. The result is at times comical or tragic, depending on the people who live in my head and what they have to say. Most days that’s not a lot of anything. Others I can’t shut them up. They especially love when I’m driving, oh, yeah, a drive across town is a lesson in how not to get myself killed or be pulled over for reckless driving. And those are the good days. Welcome to my crazy world, if it’s boring now, wait five minutes, and don’t blink. Things have a tendency to get interesting around me. I love your warnings…and appreciate them! Good luck on the new release!